Categories: Divine Names, Grace of God, Guru, Mahans, New Years Day, Prayers, Sri Muralidhara Swamiji. An important message, and a beautiful blessing in the end for us all! “Mahans (saints) promulgate only the path that is the need of any particular Age. Srimad Bhagavatam is said to be the Purana that one has to take refuge in, in the Age of Kali. In Bhagavata Mahatmyam (text speaking about the greatness of Srimad Bhagavatam) , Sage Narada comes down to earth as soon as Kali Yuga is born, and wanders about taking note of the condition here. He is asked for money to have darshan of God in a temple; he is asked for money to sprinkle holy water from a river on his head! He is shocked and runs away in fear! He then adds, “There is a holy text known as Bhagavatam. Go around the earth and discourse on the Bhagavatam to all. That is verily the succor for people.” Thus speaks Sanatkumara to Narada. Bhagavata mahatmyam is narrated as the dialogue between these two. Well! 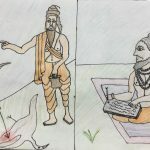 Who are Sanatkumara and Narada? Sanatkumara is one of Lord Brahma’s four firstborn sons, a pure Jnani who does incessant japa of Hari Nama. And Narada is one who constantly goes around the world and is aware of the state of the world and its people. 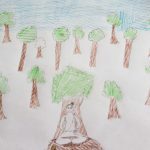 It is easy for someone who has shut himself up in a room and performed yoga, dhyana or yaaga to say that that path is the only succor for all. But how are the people in the world today? The man and the lady of the house wake up early in the morning, rush to the office travelling in a crowded train or bus, toil there under stress to complete the projects given, return home to help children in their school work, nurse them when they fall sick, shop for and meet the various expenses of the household, etc. Even such people have to find a few moments to think of God. What is the way for such people? Nobody stops you from doing yaaga or yoga or dhyana; but would it suffice if only you and you alone reach ashore? Should one be indifferent to the state of others? It is not I who says this. ‘tasmaat shaastram pramaaNanthE…’ In the Gita, Bhagavan says ‘speak only with testimony from Shastra’. Bhagavata shastram says ‘In Kali Yuga, Nama kirtanam would alone suffice’! We saw Narada and Sanatkumara. Taking up these two as two characters we find that, moving amidst various kinds of people and families, various kinds of places and countries, Narada desires to show them all a way out of misery: a way that is supported by shastras and is not merely his opinion; thus Narada shows a way through Sanatkumara, who is a jnani and embodiment of the shastras. Next we move into the Bhagavatam. Here, we find that Parikshit had only seven days to live. He desires to attain moksha (Liberation) within seven days. Through Nama kirtan (chanting the Name of God) one can attain Moksha in seven days… or even in seven minutes! This is a crash course. As the scriptures say, in this Kali Yuga men are short lived, lazy, dull-witted and unfortunate. As man’s span of life is short in this Kali Yuga one cannot complete sadhana of dhyana or yoga in his lifetime. [For those who practice these sadhanas] You will be born again and again and continue the practice and in some birth you will attain the fruit. But if you do Nama kirtan you can attain NOW and HERE – in this birth. 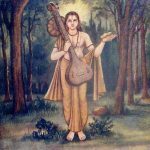 Tiruppanazhwar was a great devotee who became forgetful of the world due to his kirtan. And he mingled with Lord Ranganatha! What was the reason behind Lord Ranganatha taking Tiruppanazhwar unto Himself? It was simply the selfless love-filled kirtans that he had sung! Therefore, nothing attracts the Lord as does kirtan. Kanakadasa is a similar devotee of Udupi Krishna who would do kirtan without body consciousness. When he was made to move to one side of the temple to sing on his Lord, Lord Krishna Himself turned to his direction and broke the wall down so that His great bhakta Kanakadasa could have His darshan. 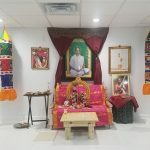 So, this only goes to show that if you do Nama kirtan the Lord sits or stands or turns or gets up at your order. He is ever willing and ready to do anything at your bidding! All that you need is faith. Nama on your tongue along with faith. Perseverance along with Nama. Chanting just ten or twenty Namas is not enough. You sow a mango seed at first. After a time the seed sprouts. You find a tiny plant there. It then grows into a plant and then into a tree. You then find flowers and then unripe mango and then the mango fruit. The seed takes time to grow into a tree and then bear fruit. You should have patience. If you keep on chanting the Nama, there is nothing beyond our reach. There is nothing that cannot be attained by us. It is verily this path that Azhwaars, Naayanmaars and all others have shown. The Lord does not feel bound by anything as He does with Nama kirtan. I wish to attract someone’s attention. I can touch him only if he is close by and visible to me; if he were at a distance I have to call out to him. He then turns his attention to me and comes to me. Does he not? You cannot touch Bhagavan. You have to call out to Him. What do you do when you visit a temple? Do you go there to enjoy the fresh air? Do you take a neighbor along with you and gossip there? Or do you discuss the news in the daily? Or do you go there to relish the tasty prasad? When you visit a temple do Bhagavan Nama kirtan loudly. Only if you do Bhagavan Nama kirtan a link between you and the Lord would arise. Does your life run on vidhi (fate) or by the Lord? This is verily in your hands. One’s life runs as per the sins and merits earned by him. There is not even an iota of doubt in this. But do you desire absolution from your sins and the Lord’s Grace to work? It was karma that had pulled Draupadi into the court! She was going to be dishonored in the court. At that time if she had cried, “Oh why have I been pushed to this state?”, her fate would have done its work. Instead, Draupadi cried out ‘’GOVINDA!” and Bhagavan Nama took over and worked. If you moan and cry, “Why this state for me? What have I done to deserve this? How will I cross this difficulty?”, you will have to undergo the hardship. But if you desire that God interferes with your fate, you should not entertain any doubt: Only if you hold steadfast faith in the Nama you have taken up, in the Deity you hold on to, in the Guru you have sought refuge in, will the Guru or the God or the Nama save you. You can progress in your life only if you have steadfast faith. If you nurture any doubt progress is not possible. Bhagavan Nama can indeed work beyond our fate. When we suffer some small ailment we take a simple medicine. When the ailment is serious we undergo severe treatment for a long period of time. Therefore, in order to wipe out the prarabda (result of past actions) in our life we have to keep on chanting Nama. This is not difficult at all. One need not forgo food or sleep. There is no need for solitude. No separate time needs to be allotted for this. If there is Nama constantly on the tongue you will be blessed with anything you seek – be it moksha or darshan of the Lord or siddhis or removal of worldly troubles. But you have to constantly chant the Nama with faith and perseverance. CONSTANTLY. On what basis can I have faith in this? Mahans have shown this path! Rishis have spoken of this! Shastras speak of it! It can never fail you. Place the faith on them with the thought ‘How can a way spoken and shown by them fail?’ and keep doing Nama kirtan. Nama kirtan can be done always without wasting even a moment because there is nothing specially needed for Nama kirtan. You have the Nama and the tongue. The tongue is going to keep chanting the Nama. If the Nama gets soaked in you ‘It’ will first remove all your problems. If you chant lots and lots of Nama you can yourself help remove others’ troubles! To that extent Nama nidhi would get accumulated. So, there is nothing impossible for Nama. 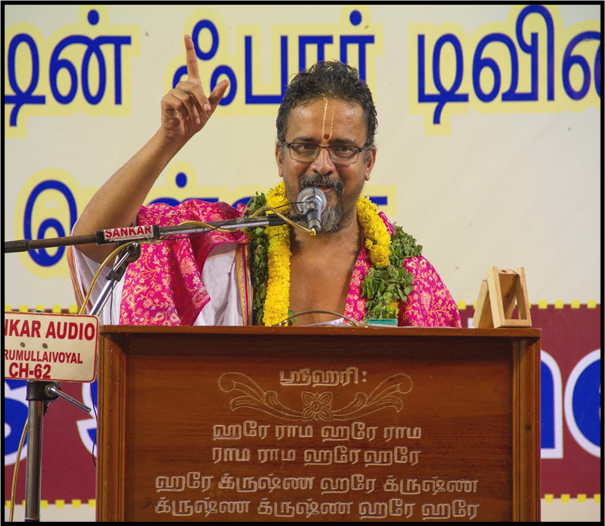 Nama is the way for this Yuga: a way shown by Mahans – be it Azhwaars or Naayanmaars or Arunagirinathar or any other Mahan born in any place. This is Kali dharma. Kali is sadhu (good). Why is this Age of Kali good? Kali is said to be good because it is only in Kali there is an easy way to attain God. Even one like Ajamila could attain God is verily the glory of Bhagavan Nama. So in this New Year may all of us earn self-confidence, courage, may we be blessed with the shakti to work, may the Lord be ever beside us, may we chant Bhagavan Nama always! Whatever prayer you have – first one must have faith. Next one should have perseverance. One should chant with faith. One should not get tired of chanting Nama. We should take it as a challenge! If there be a prayer it will certainly get fulfilled. You keep water on the stove to boil. Only at 100 C it begins to evaporate. We should have the patience and not switch off the stove before it reaches 100 degrees. Likewise you should not tire out till you attain the fruit. Keep chanting the Lord’s Name. That Bhagavan Nama will get you the blessings of the Lord. Nama will never forsake you. Just as one takes prasad at the end of a function we will all return home with Nama on the tongue. We shall all start our work with Nama. We shall start the day with Nama. We shall live with Nama. We shall eat with Nama, bathe with Nama, walk with Nama. Let us live together with Nama. We should take this resolution today.